BT Adapter works. I'm dual boot with Win10 and it works there, but when I boot into P9, the BT adapter won't find the mouse when I perform a search. It comes up blank like there a no BT devices out there. Any ideas? I searched the forums and didn't see anything. encapsulated within the "insert code" icon? That's the box with the #. and enter the PIN code if/when requested (be aware it might not be requested, not all devices require a PIN). See if the mouse works. If it does, see if it survives a reboot. Though I don't know how to decipher it. when I scan with either the internal controller or an external USB controller, nothing shows up. very weird. Are you sure you don't have to do anything on the mouse to put it into discoverable mode ? Did you ever mention which model of Logitech BT Mouse it was ? It's an N231. Never had to do anything before to make it discoverable. Gotta figure it out though. I HATE this HP Touchpad!!! I don't think N231 is an actual model number. 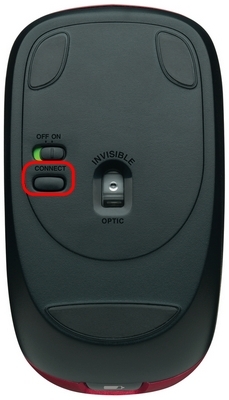 Does your Logitech mouse have a "Connect" button ? .. if so press it, and the light on top of the mouse should start to blink .. THEN scan for the mouse in the Bluetooth Manager. They don't normally show up in the bluetooth manager until the "Connect" button has been pressed, and THEN you scan for them .. after pressing the "Connect" button you normally have a couple of minutes to scan for them and accept the pairing on your PC before it becomes undiscoverable again. When I use an external adapter, on the windows side I get "generic bluetooth radio- driver error" and on the Linux side I get no recognition that the adapter is even inserted. So windows recognizes it, but says bad driver. and P9 doesn't even recognize that it's plugged in. Not sure if I have a hardware problem, a driver problem, or what. Ran all the latest updates for P9 - didn't help. I'm leaning towards a hardware issue. Mouse connects just fine to my wife's new (relatively) Lenovo running Win 10 using internal BT adapter. There are, unfortunately, a small percentage of Logitech peripherals that aren't Linux compatible. This may be one of those cases. Did the packaging say it was Linux compatible? Logitech is one of those companies that will acknowledge the existence of Linux and list compatibility. 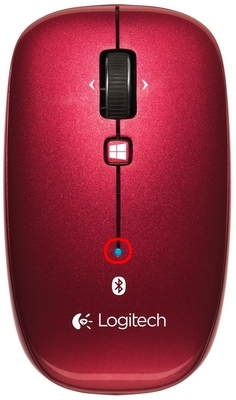 There are, unfortunately, several Logitech products with the model number N231. If it is, then there's a "connect" button on the bottom, just as PCNetSpec said. Sorry- I thought I posted the model #. Will try again after work later. In the meantime .. . . . any thoughts as to why P9 doesn't even recognize the BT dongle when I plug it in? It will recognize internal adapter, but I thought taht was the issue, so got an external one. And p9 doesn't even acknowledge it's there. Weird. I think the adapter may be no good.